The Budleigh Hub, Budleigh Hospital, East Budleigh Road, Budleigh Salterton, Devon EX9 6HF. Hub Harmonies is Budleigh Salterton’s new community choir, starting on 15th May 2019. 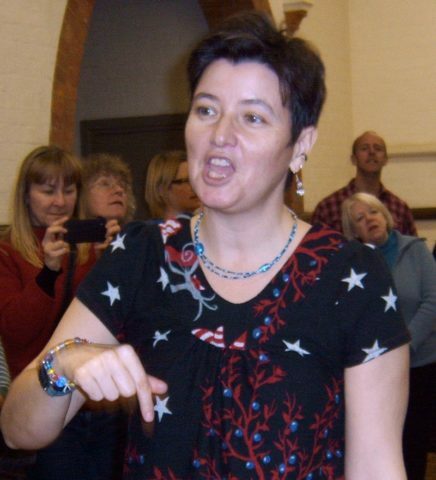 As songs are taught by ear, to join us you don’t need to be able to read sheet music and there are no auditions – complete beginners and experienced singers are equally welcome at our weekly sessions of harmony singing. The choir meets on Wednesday mornings at The Budleigh Hub. Sessions will be led by Natural Voice practitioner Becca Flintham. The aim is for our sessions to be uplifting, energising and inspiring – come along and enjoy the harmonies! We’ll be singing all kinds of songs: African, Eastern European, gospel, jazz, folk, rock, Georgian, Scandanavian and many other musical cultures and styles… Come along and enjoy sharing singing together. It’s uplifting, energising and inspiring – just what we all need. Cost per session: £6 / £4 concessions.